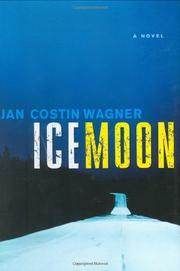 In this first English translation from an acclaimed German author, a Finnish detective grapples with grief while hunting for a serial killer. Kimmo Joentaa is keeping a grim vigil at his young wife Sanna’s bedside as she slowly dies of cancer. Numbly he goes through the motions of planning her funeral and informing her friends and family of her death. Meanwhile, an unnamed piano tuner has violent fantasies about his client, Mrs. Ojaranta, as he chats companionably with her in her home. When a later chapter in the same eerie narrative voice describes a sensual killing, the reader gets two surprises: Mrs. Ojaranta is the victim and Joentaa the police detective assigned to the case. Short chapters alternate between the killer and the investigator, who masks his feelings from his coworkers. Seeing this new crime through the prism of his recent experience, Joentaa rejects the logical assumption that the widower is a likely suspect. Although he’s also supposed to be probing the non-fatal shooting of an abrasive politician—a more important matter, according to his superiors—he focuses instead on Mrs. Ojaranta’s killer, who soon racks up more victims. In his bruised state of mind, Joentaa seems more interested in matching wits with the killer than in catching him. A stylish and creepy mystery, expertly paced.